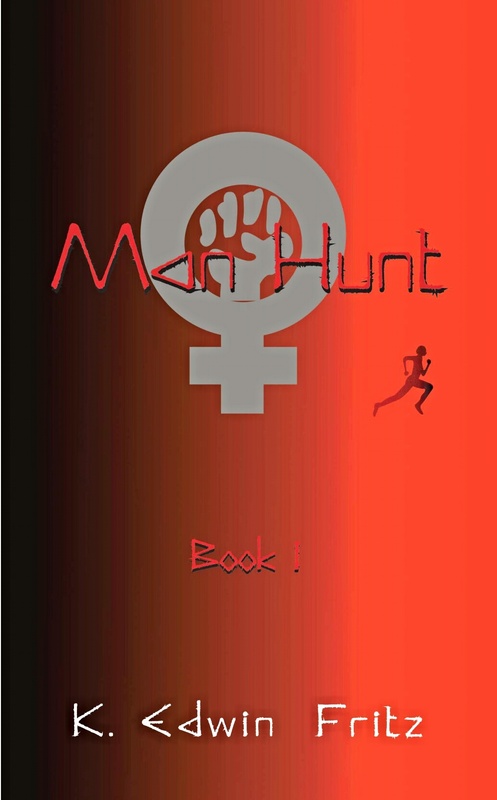 Fritz’s Man Hunt is a graphic read about Monroe Island where misogynistic men are lured to be “educated” in a brutal fashion by a troop of ruthlessly trained women. We are told this story from the point of view of one of the men, Obe, on the island, and from the point of view of “bestial headwoman” Gertrude and Josie, a recruit of great potential, who has severe doubts about what is done to these men in order to “educate” them. This book hits the ground running literally as we start off being introduced to Obe, who is on the run from the women who are hunting him. By luck he avoids being run down but inadvertently also draws attention to himself as a prime target to discipline. One finds himself in a family of men, who fight each other and the women to survive. Violent and brutal in parts this thriller will not only have you at the edge of your seat but have you caring about both Obe and Josie and have you asking moral questions about punishment, humanity versus hard-core feminism, or is oppression the same whether it’s done by misogynistic men or women who have been victims in the past? An intense introduction to a promising new series. Man Hunt is available to read for free to Kindle Unlimited Subscribers. Maybe they could make this a companion piece with “50 Shades of Grey.” Feminists have got to be talking to themselves, with so many women flocking to see a movie about a woman getting abused and humiliated by a man. This book is the antidote to Fifty Shades for sure. It needs to be sent out as part of a government scheme to counteract the effects.